The Environmental Audit Committee (EAC) has today published its report Protecting the Arctic. It is no coincidence that after hearing evidence on the subject for six months, the EAC chose this week to publish its findings: last week it was confirmed that this summer the Arctic sea ice shrank to a record low, with some scientists predicting the Arctic will be ice-free in summer within the next decade. 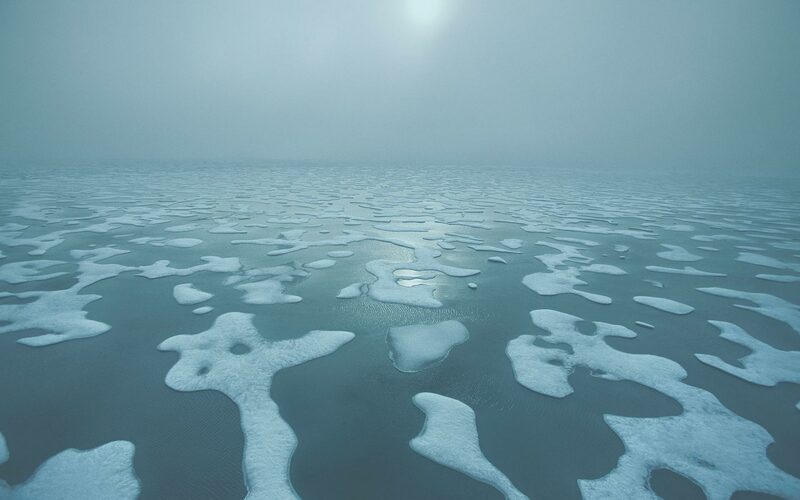 The consequences of a disappearing Arctic are dire. Not only will we lose a unique and pristine ecosystem, but we will be faced with accelerating and irreversible climate change. With less of the Earth’s surface covered in ice, more of the sun’s energy will be absorbed rather than being reflected back into space. As the ice melts it will release millions of tonnes of methane into the atmosphere which had previously been safely locked up in the permafrost. To avoid passing this dangerous “tipping point”, some experts told the EAC we should urgently apply “geo-engineering” techniques – such as spraying tiny particles into the atmosphere – in an effort to cool the Arctic. The Committee rejected these calls on the basis that they do not offer a credible long-term solution and it is not yet known how effective they will be. However, the Committee did accept evidence from ClientEarth on another measure that can quickly mitigate rising temperatures in the Arctic: tackling emissions of black carbon. Microscopic particles of soot known as “black carbon” are emitted into the atmosphere when we burn fuels like diesel, wood and coal. Being dark in colour, black carbon absorbs the sun’s energy, causing a warming in regional climate. This impact is especially strong in the Arctic, where black carbon falling on snow and ice darkens the surface, causing less of the sun’s energy to be reflected back into space. The beauty of tackling black carbon is that it is a “short-lived” pollutant – unlike CO2 which is only slowly removed from the atmosphere, black carbon remains in our environment for only a matter of days. If we reduce emissions of black carbon we will get an immediate cooling effect, just like with geo-engineering, but without the attendant risks and uncertainties. Combined with action to reduce carbon dioxide emissions, addressing black carbon provides a means to fight dangerous climate change both now and into the future. The UK can and must play a leading role in tackling black carbon. 2013 has been designated the “year of air” by the EU. The UK must use its political clout to push for an ambitious new set of air pollution laws which protect both human health and climate by targeting emissions of black carbon. But if the UK is to have any influence on the international stage, we must first have our own house in order – and at the moment our house is frankly a bit of a tip. EU air quality standards are being broken all over the UK, largely as a result of pollution from diesel vehicles. We urgently need to get old dirty diesel vehicles off Britain’s roads or fit them with particle traps that reduce black carbon emissions. We’ve known for years that cutting black carbon emissions will save thousands of lives; now we know it could also help to save the Arctic. The time for action is now. This was originally posted on ClientEarth’s Hot Air blog.